Summers in North Bay can be just as relentless as the winters. During the height of summer, temperatures may rise as high as 30 degrees Celsius. Air conditioning is an ideal way to beat the heat while indoors. The feeling of stepping into a cool home after completing yard work, going for a jog, or just spending a day outdoors with the family can be wondrous. It instantly stirs up a feeling of relief and relaxation. The last thing you want is to walk into your home and discover that the air conditioning is broken after a long day. To avoid this situation, proper HVAC maintenance and timely repairs of problems – no matter how small – are very important. An air conditioner that is in poor condition or functioning inefficiently is much more likely to quit working altogether. That is because the harder your cooling system has to work, the faster its components will begin to wear and tear from the added strain. If you notice that your air conditioning is not cooling the home as well as it should, have our technicians at Heating and Cooling Repair North Bay come take a look for you. We diagnose and repair air conditioning problems for countless homeowners throughout North Bay, Ontario. We can provide you with fast and affordable air conditioning installation and repairs year round. To maintain a comfortable temperature throughout your home during the summer doesn't always require the most powerful air conditioner on the market. Efficient cooling simply requires air conditioning that is suited for your home, as well as an efficiently designed HVAC system. A properly functioning air conditioner can keep your home downright frigid if desired. What matters is the condition and state of your cooling system. Many homeowners allow problems to persist for years without realizing they are putting unnecessary strain on their HVAC and driving up their energy bills. 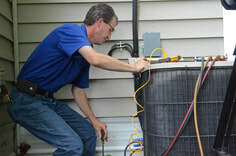 Heating and Cooling Repair North Bay provides air conditioning installation and repair for our customers to help save them the stress and expenses created by a poorly performing A/C. We perform a thorough inspection to identify any and all problems, and provide you effective solutions that are practical and affordable. Without a doubt, heating and cooling costs account for a large portion of your energy bill every month. Fortunately, saving money doesn't mean weathering uncomfortable temperatures within your home. 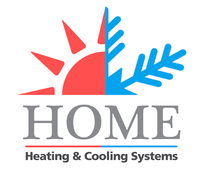 Many customers discover they are wasting a copious amount of energy during winter and summer months due to an inefficient HVAC system that is performing well below optimal levels. This is a problem that is much more affordable to fix than continuing to pay inflated energy bills month after month, year after year. Heating and Cooling Repair North Bay provides our customers with a range of cooling services, including air conditioning installation, maintenance, and repair. We can work on your heat pump, ventilation, thermostat, or any other part of the HVAC system to restore its performance.